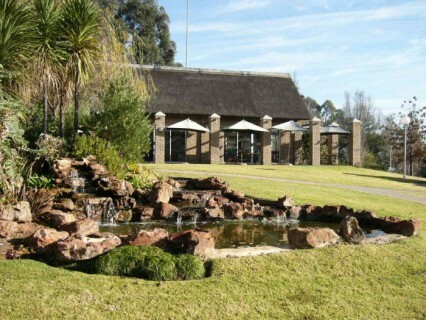 Rand Aid Association's Elphin Lodge retirement village Johannesburg is situated on 13 hectares of beautiful, serene and landscaped lawns with dams and ponds. Residents enjoy the extensive bird life and tranquil walks. 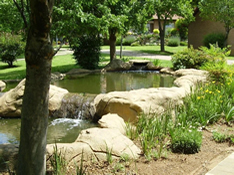 Located off Modderfontein Road, between the Edenvale Hospital and The National Health Laboratory Services, Elphin Lodge retirement village has the Jukskei River on its eastern boundary. Elphin Lodge's units are available for purchase on a life-rights basis, to people 65-years-old and over. On-site frail care is available at Rand Aid's Ron Smith Care Centre, to ensure that all of your needs are taken care of later on in life. The retirement village's facilities include an interdenominational chapel as well as a recreation centre comprising of a large hall, snooker room, card room, well stocked library and a swimming pool. This is supplemented by a comfortable clubhouse where residents can celebrate special occasions. A launderette and convenience shop are also available whilst transport is provided regularly to shops in the vicinity. Other on-site services include facilities for a physiotherapist, podiatrist, hairdresser and beautician. All of Elphin Lodge's cottages and apartments are north facing and the kitchens are fully equipped with ample cupboard space. Provision has been made for a dishwasher, washing machine, refrigerator/freezer and the units are carpeted, they have telephone sockets and are cabled for DSTV service. Residents provide their own decoder. Elphin Lodge offers 119 two-bedroom cottages, 40 one-bedroom and 64 two-bedroom apartments, each with a lock-up garage no more than 30 metres from the cottage or apartment. Each cottage consists of two bedrooms, a kitchen, full bathroom with shower, separate toilet, lounge/dining room, patio and enclosed yard. Two sizes of cottages are available, at 93m² or 101m², excluding garage. Each apartment consists of one- or two-bedrooms, a kitchen, full bathroom with shower, lounge/dining room and a patio or balcony. The two-bedroom units have a separate toilet. One-bedroom apartments are 76m². Two-bedroom apartments are 92m², excluding the covered patio or balcony and garage. Services included in the levy: An emergency call system; security includes cameras at the gate and on fences, monitored 24/7 and guard patrols; a village sister for preventative nursing care; a gardening service; weekly servicing of apartments; daily postal delivery; 24-days per year recuperation in the frail care centre per unit; rates, water; insurance of buildings, external maintenance and administration costs. Electricity is charged for separately. 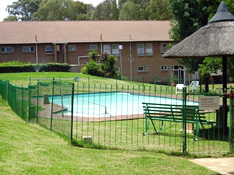 Elphin Lodge Retirement Village Johannesburg has become an extremely popular retirement destination and a waiting list is in effect for the past 20 years. You can secure your place on the waiting list by paying a small, refundable deposit. For more information, contact Helen Petrie or Phyllis Phillips at 011-882-6296.
string(14) "P O Box 891039"
string(91) "frail care, retirement home, retirement village, retirement village with nursing facilities"
string(54) "Rand Aid, Elphin Lodge Retirement Village Johannesburg"
string(3280) "  A charming and serene retirement village with an abundance of birdlife Rand Aid Association's Elphin Lodge retirement village Johannesburg is situated on 13 hectares of beautiful, serene and landscaped lawns with dams and ponds. Residents enjoy the extensive bird life and tranquil walks. 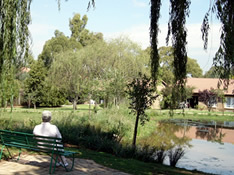 Located off Modderfontein Road, between the Edenvale Hospital and The National Health Laboratory Services, Elphin Lodge retirement village has the Jukskei River on its eastern boundary. 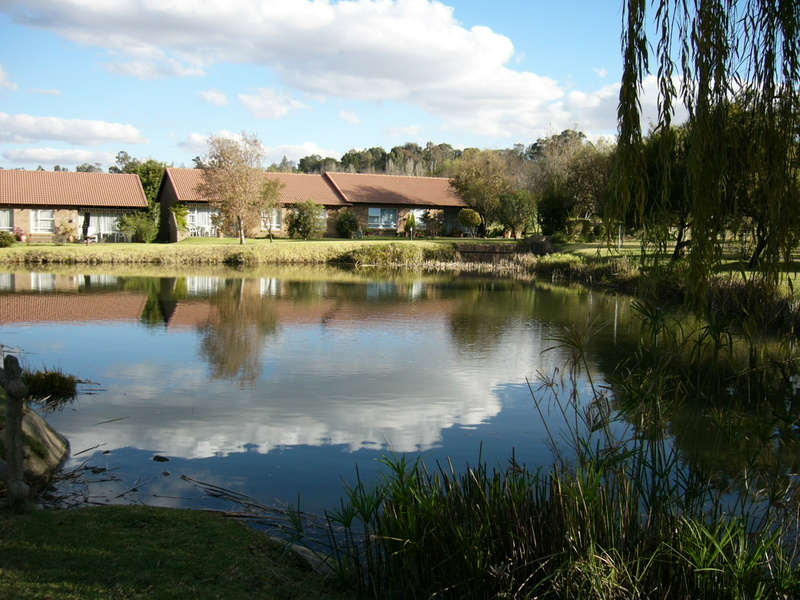 Elphin Lodge retirement village Joahnnesburg is treasure Elphin Lodge's units are available for purchase on a life-rights basis, to people 65-years-old and over. On-site frail care is available at Rand Aid's Ron Smith Care Centre, to ensure that all of your needs are taken care of later on in life. The retirement village's facilities include an interdenominational chapel as well as a recreation centre comprising of a large hall, snooker room, card room, well stocked library and a swimming pool. This is supplemented by a comfortable clubhouse where residents can celebrate special occasions. A launderette and convenience shop are also available whilst transport is provided regularly to shops in the vicinity. Other on-site services include facilities for a physiotherapist, podiatrist, hairdresser and beautician. All of Elphin Lodge's cottages and apartments are north facing and the kitchens are fully equipped with ample cupboard space. Provision has been made for a dishwasher, washing machine, refrigerator/freezer and the units are carpeted, they have telephone sockets and are cabled for DSTV service. Residents provide their own decoder. Elphin Lodge offers 119 two-bedroom cottages, 40 one-bedroom and 64 two-bedroom apartments, each with a lock-up garage no more than 30 metres from the cottage or apartment. Elphin Lodge Cottages Each cottage consists of two bedrooms, a kitchen, full bathroom with shower, separate toilet, lounge/dining room, patio and enclosed yard. Two sizes of cottages are available, at 93m² or 101m², excluding garage. Elphin Lodge Apartments Each apartment consists of one- or two-bedrooms, a kitchen, full bathroom with shower, lounge/dining room and a patio or balcony. The two-bedroom units have a separate toilet. One-bedroom apartments are 76m². Two-bedroom apartments are 92m², excluding the covered patio or balcony and garage. Services included in the levy: An emergency call system; security includes cameras at the gate and on fences, monitored 24/7 and guard patrols; a village sister for preventative nursing care; a gardening service; weekly servicing of apartments; daily postal delivery; 24-days per year recuperation in the frail care centre per unit; rates, water; insurance of buildings, external maintenance and administration costs. Electricity is charged for separately. 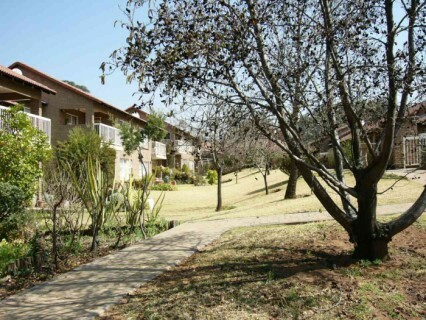 Elphin Lodge Retirement Village Johannesburg has become an extremely popular retirement destination and a waiting list is in effect for the past 20 years. You can secure your place on the waiting list by paying a small, refundable deposit. For more information, contact Helen Petrie or Phyllis Phillips at 011-882-6296. For information on other Rand Aid retirement villages, click here..."
string(44) "Elphin Lodge Retirement Village Johannesburg"
string(136) "Rand Aid Association's Elphin Lodge retirement village Johannesburg is situated on 13 hectares of beautiful, serene and landscaped lawns"
string(198) "It offers a total of 119 two bedroom cottages, 40 one bedroom and 64 two bedroom apartments - each with a lock-up garage no more than 30 metres from the cottage or apartment to which it is assigned." string(91) "Recreation centre comprising a large, wellequipped hall, snooker, billiards and card rooms." string(68) "Cameras at the gate and on fences, monitored 24/7 and guard patrols." string(44) "Village sister for preventative nursing care"
It offers a total of 119 two bedroom cottages, 40 one bedroom and 64 two bedroom apartments - each with a lock-up garage no more than 30 metres from the cottage or apartment to which it is assigned. Recreation centre comprising a large, wellequipped hall, snooker, billiards and card rooms. Cameras at the gate and on fences, monitored 24/7 and guard patrols.